The Port Royal Habitation is part of the national historic site that was built by the French when surviving in Acadia which was an everyday struggle. 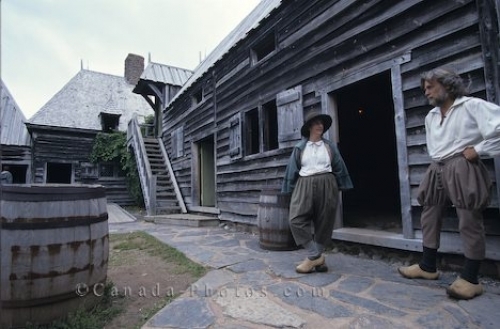 The Habitation is open for tourists to explore and gives you a true feeling of what life was like for these people in Nova Scotia, Canada. Port Royal Habitation, Port-Royal National Historic Site, Annapolis Royal, Nova Scotia, Canada, North America. Picture of the Port Royal historic site in Nova Scotia, Canada.